You can’t be competent in reading if you’re not actually reading. Many teachers claim students are successful in English class when they can correctly answer comprehension questions or when they can write a literary analysis essay. 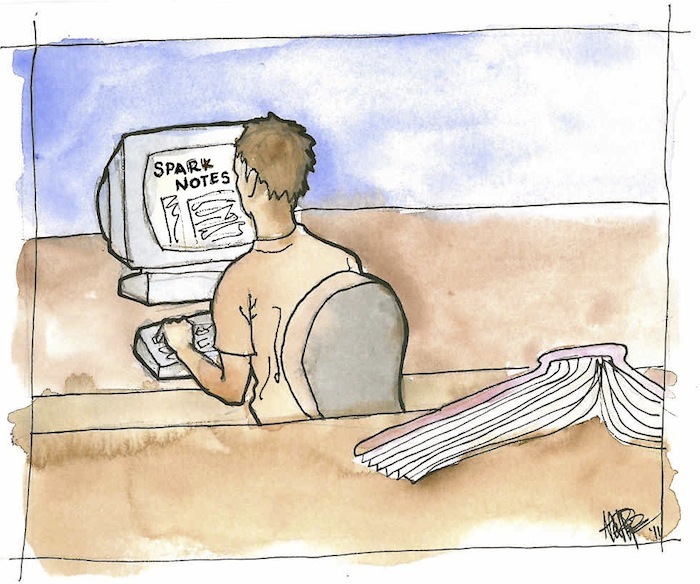 But…students can pass traditional exam-style assessments with SparkNotes and films and never crack open a book. They can listen to classroom lectures and class discussions, pass the exam or essay, and never crack open a book. In my mind, I just can’t claim that my students are competent in reading if they’re not really reading. 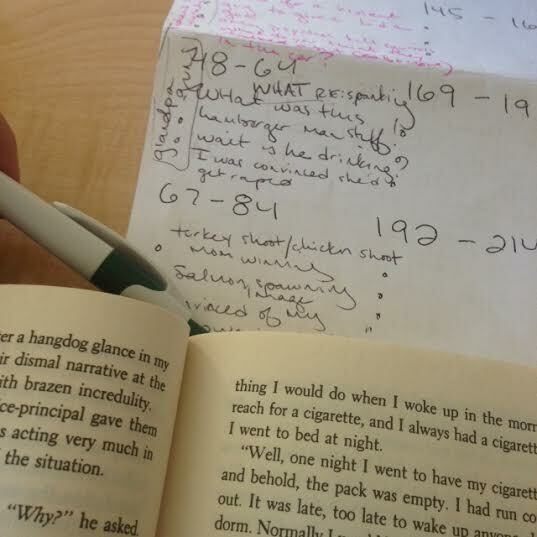 I do assign novels in addition to our choice reading, and I do assess them on these novels. I just go about it in a different way. What is a reading workshop, anyway? I meet with the groups to guide them through the texts. I hated doing literature circles in class before; it felt like I was just walking around and policing students instead of actually teaching them. 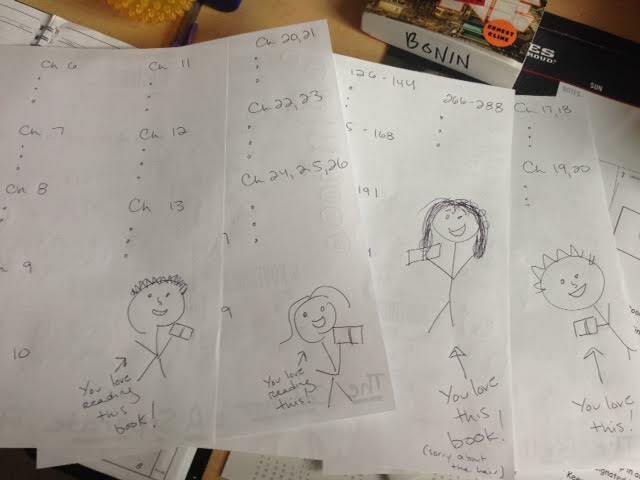 To start, my students did a book pass with the four novels I set aside for this unit. After this, they read reviews on Goodreads and before class was over, they decided which one they wanted to work with. I am obsessed with using Goodreads in class. Most of my students have the app on their phones, too. I created reading schedules for all of the books, both to keep them on track and for me keep my sanity as I read five books at the same time. One of our reading schedules. I’m trying to wean myself away from computers. I require my students to write discussion points for each assigned section of the text. Discussion points can really be anything: A clarifying question, a text connection, a detail they found funny, nice, or strange. Some students switched their books after the first day. Some switched the second. Some are still switching, four days in. During the reading workshop time, I meet with the different book groups, one at a time, in the back of the room. I share my discussion points, and together, we talk about the book. 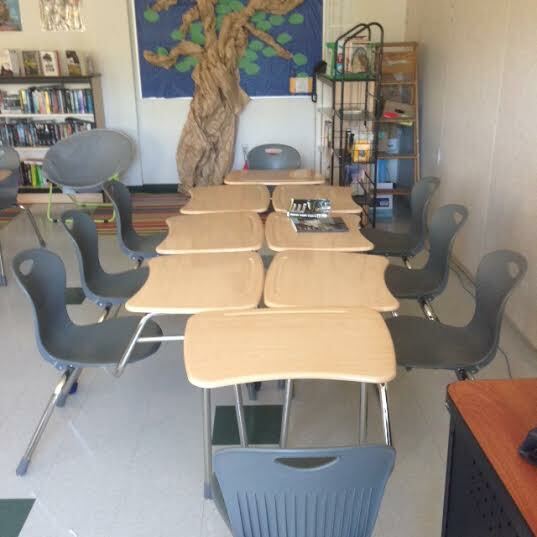 I create a makeshift table in the back of the room for our small-group discussions. Students are allowed to join the group on the first day, even if they’re behind in their discussion points, but after that: the discussion points are their ticket into the group discussion. Students earn a summative grade towards their communications competency for their discussion participation, so they all want to be there. I want them all to be there, but they have to bring something to the group. 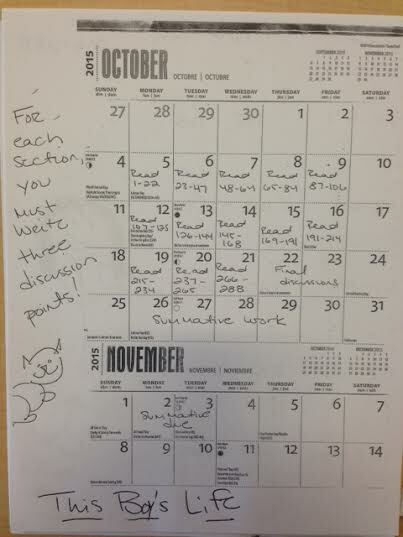 I write a template for their discussion points on the back of their reading calendars. They hate doing these, but they are really helpful to our discussions. While I’m meeting with one group, the other students are working with their books: reading and writing discussion points, or pulling out and responding to quotes in their journals. This gives my students an opportunity to prep for our discussions, but also gives them a chance to catch up if they’re behind. I let them listen to the audiobooks on YouTube if they’d rather listen instead of physically read, and I tell them I trust in them. So far, when I spy over their shoulder, that’s exactly what they’re doing. What happens when they don’t read? I require my students to continue to read their choice book during the first ten minutes of class, even if they’re behind in their assigned reading. This helps me define the difference between “entertaining” literacy and “work” literacy. Although they might like the books they’re assigned to read, we read those for a different reason than we read our choice books. The front of the class while I meet in the back. I know, I’m blessed with small classes and lots of space. So: because it’s “work” reading, and because my students don’t always do their homework, it’s inevitable that some (sometimes, most) students come unprepared for class. Even though they picked the books they wanted to read. It can be very, very frustrating. 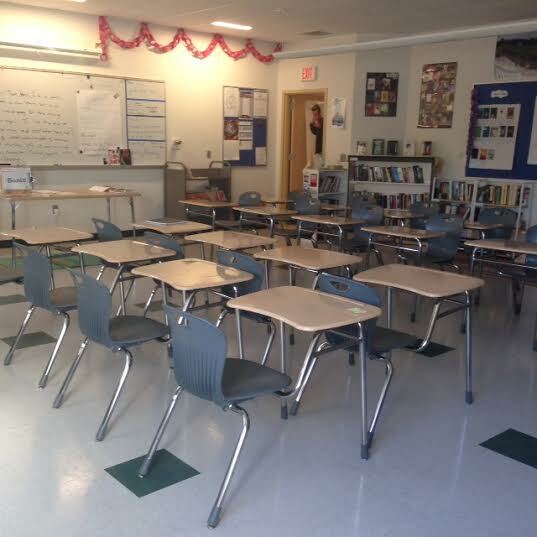 Today, in one class, almost nobody came prepared with discussion points. I met with the students who did prepare, and they earned summative points. I was really annoyed, but I kept that inside. Instead of lecturing the rest of my students, I checked in with them as they worked independently. I asked them if they had questions, and if I could help. Some did have questions and talking quickly seemed to help. Some told me they were just being lazy. I can’t take that personally. So it goes. Before, I would have muddled through a lesson on a whole-class novel that almost nobody read, becoming more and more frustrated. In our workshop space, my students have the choice, conversation, and the support that they need to actually.read.the.books instead of just using SparkNotes to fake it all. So even on these frustrating days, I’m still confident that my students read more in this model than they ever had before.